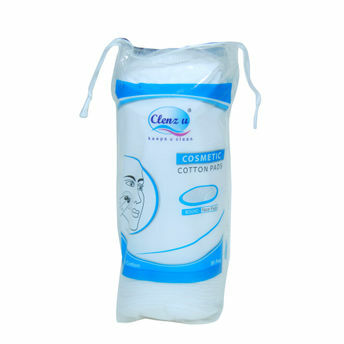 Clenz u Cosmetic Cotton pads are made from 100% pure and non-chlorine bleached cotton. These cotton pads are highly absorbent and specially made to maintain their shape without leaving fiber residue on the skin. They are ideal for everyday skincare and makeup application and removal. Clenz u cotton pads come in a resealable packaging that is convenient to use, store and carry. About the brand: Asian Group is a young, dynamic and diversified group which is constantly growing. The company has a handful of brands under its umbrella and is excelling in each of its diversified fields. Clenz U from Asian Group is focusing on delivering premium products that meet the customer demands perfectly. The range consists of cosmetic products, personal hygiene products and tissues. Explore the entire range of Cotton Buds and Balls available on Nykaa. Shop more Clenz u products here.You can browse through the complete world of Clenz u Cotton Buds and Balls .